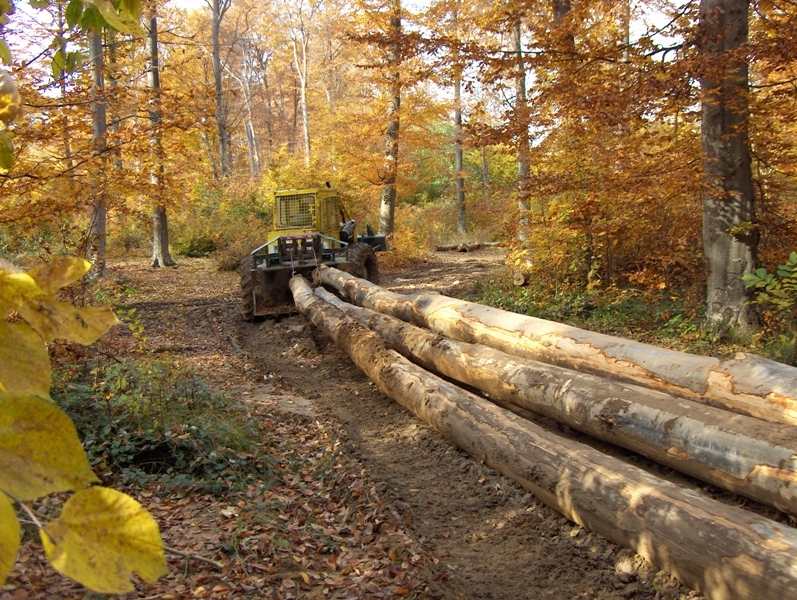 Beechwood-timber.com operates the largest timber processing plant in northwestern Bulgaria, Mitrovtsi. Situated in the western Balkan mountain range, the company harvests, processes and transports beech wood under the supervision of the Ministry of Agriculture and Food Supply. We primarily process common beech wood ( Fagus sylvatica L.). The qualities of common beech wood make it one of the best and the most sought-after types of timber. Its versatility makes it perfect for a wide range of applications. Common beech wood has a white tone with reddish or yellowish nuances. The clearly defined heart-shaped veining of the wood results in a beautiful texture upon processing. After steam treatment the wood acquires a pinkish-reddish color. Air-drying before further drying in the furnace ensures that firmness is consistent throughout the material. Beech wood is hard and moderately strong, requiring processing methods similar to walnut, cherry and oak. We work with compact machines which preserve the quality of the timber throughout all of the stages of harvesting and processing. Together with Training Center Rubies Trans, located in Montana, we also design and produce these machines (mobile horizontal belt saw MHS 650). The sawmill’s production cycle is fully closed and the technology we work with incorporates waste recycling. All timber is processed according to the customer’s requirements. We actively participate in the development of new methods of managing forests and the responsible utilization of timber. With the help of training institutions, we are constantly working to harmonize the economic, environmental and social aspects of the industry. We issue a certificate of origin of the timber with each purchase of wood. We are happy to connect you with our current customers in order to convince you of the high quality and competitive pricing of our products.